Curbing people’s impulses to exorbitantly use cellphones and tablets is a personal crusade for an ardent local communications professional. She believes her anti-dependency movement starts with changing toddlers’ technology habits. Local speech pathologist Gia Valenti is so passionate about saving youth from becoming addicted to technology devices that she wrote a book showcasing pre-teen twins who choose not to conform to cultural norms regarding cellphone use. 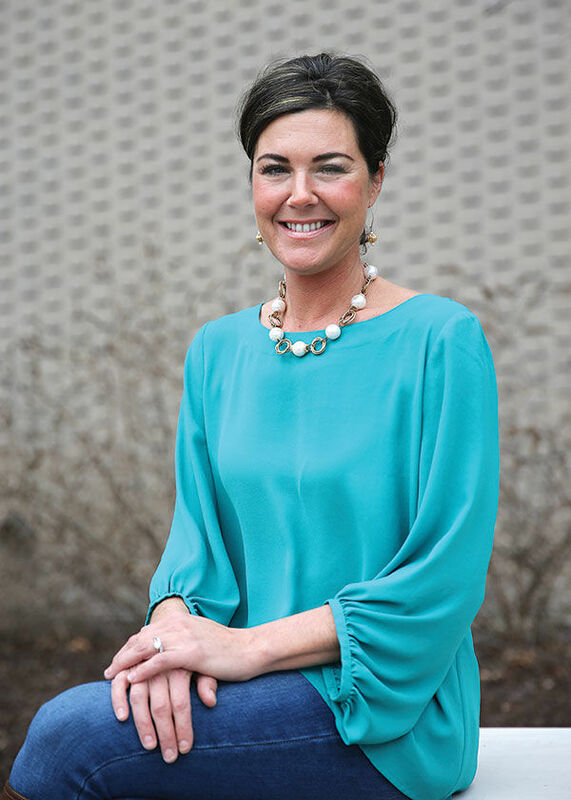 Additionally, she developed a learning curriculum to teach pre-kindergarten through high school students about risks of not practicing face-to-face communication. “Technology is like a drug. Much like a narcotic, today’s young people are addicted to their iPads and smartphones. It begins at an early age when kids would rather click and type than talk to family and friends,” said Valenti. She points out that when teenagers turn into young adults, their propensity to continually check for text messages remains a priority and lingers as a device addiction. “Kids have been verbally hijacked by technology devices,” she observed. As a motivated mother, Valenti saw firsthand how concerning her 6-year-old son’s addiction to gaming had become. “It was a battle to get him off (the tablet), and he became physically violent when it ran out of battery, or when he was asked to transition to do something else,” she said. “When I realized it had such a hold on him, we tried limiting his screen time, but no amount of workarounds helped. So, I made him and his sister go cold turkey from devices. He asked for his iPad even before his eyes opened in the morning for about three straight days. It was like going through detox,” she added. However, Valenti said after her son’s initial technology withdrawal, he was fine and then became interested in other activities. She said dependency on technology devices isn’t a good fit for children whose frontal lobe capacities are still developing. Scientific research reveals a youth’s brain keeps growing. Young brains can continue developing until they are 25 years old. One-third of American teenagers sent 100-plus texts a day in 2016, and that frequency has been estimated at doubling annually with high-volume users. “What do you think this means for their conversation skills?” asked Valenti, who also is employed as a public speaking and body language consultant. She advocates for postponing the use of smart technology devices until children are at least 13 years old, even though she admits she’s fighting new cultural norms. “Kids can use flip phones for staying in touch with parents,” she said. Pew Research Center 2018 statistics indicate on average, America’s 277 million adults and teenagers send and receive 94 text messages per day. At least 80 percent of professionals claim they even text for business purposes. Eighty-nine percent of U.S. consumers said they want to text with businesses for sales, service and appointments. Some people claim it’s just easier to reach most people through texting, because only 20 percent of people answer calls they aren’t expecting, while incoming texts are read within five seconds, on average. 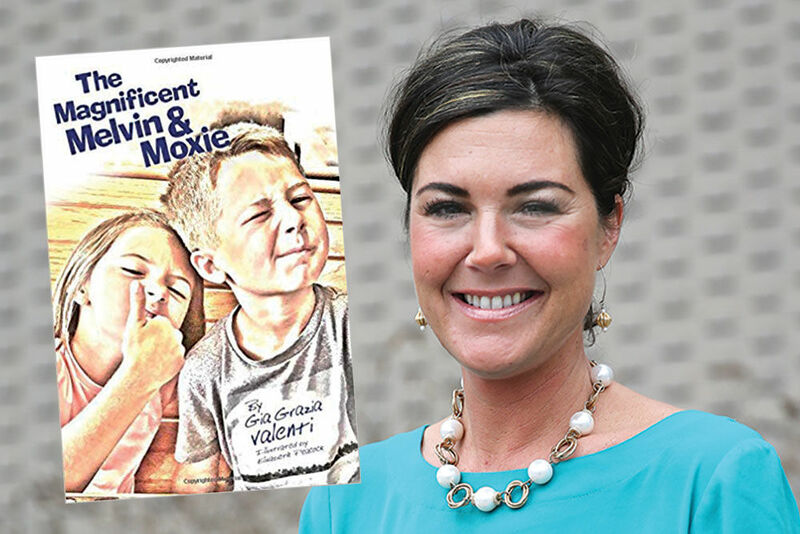 Valenti’s book is titled “The Magnificent Melvin and Moxie.” The story plot revolves around twins, named Melvin and Moxie, who are approaching their 10th birthday and are anticipating the gift all of their friends have: their very own cellphones. However, the plot takes a surprise direction to relay hope for parents and children who may want to navigate the digital world differently. Valenti said the book includes both adults’ and kids’ perspectives regarding how to address what she considers to be a real crisis: device dependency at too young an age. The story is geared for readers from kindergarten to sixth grade. The book was illustrated by another Affton resident: Elisabeth Peacock. Valenti’s own two children journeyed the path outlined in her book, and she said they are better for it. “They’re more innovative, imaginative, productive, and their personalities improved as well,” she said. Valenti said company leaders have noticed a sharp decline in communicative competence in generations raised with access to technology at young ages. Age-related pockets — Millennials, born in early 1980s through mid-1990s, and iGen super-connected children, born in the mid-1990s through 2012 — have a communications achievement gap that threatens their futures, she said. She said when she was asked by CEOs to specifically consult with their young employees, she knew action should be taken earlier in their lives so they were practicing soft communications skills. “Managers are having challenges with young employees not wanting to have client engagement, seeking to do business in poorly worded emails filled with abbreviations, and in general, acting like communicating is a foreign language,” she said. So, she developed a digitally delivered, educational curriculum with lesson plans, activities, games, support materials and a process for older students to openly engage and interact with each other. Her approach has been incorporated into English, speech, homeroom, political science and history classrooms, as well as with home study efforts. It’s also provided in after-school programs, brain breaks, as an elective or stand-alone course. More details about Valenti’s subscription-based, educational program can be viewed online at www.learnwithmoxie.com.